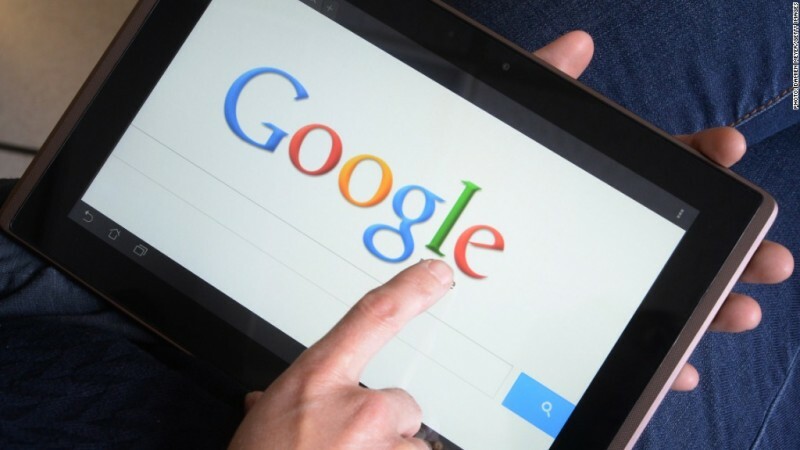 In this article we take a look at some of the trends Google are looking for in 2015. Sticking to these trends is bound to help your SEO efforts, and avoiding them may even have some negative consequences. We’ll be talking about the importance of mobile friendly websites, changes being made to support local businesses and also some details about the necessity for content. 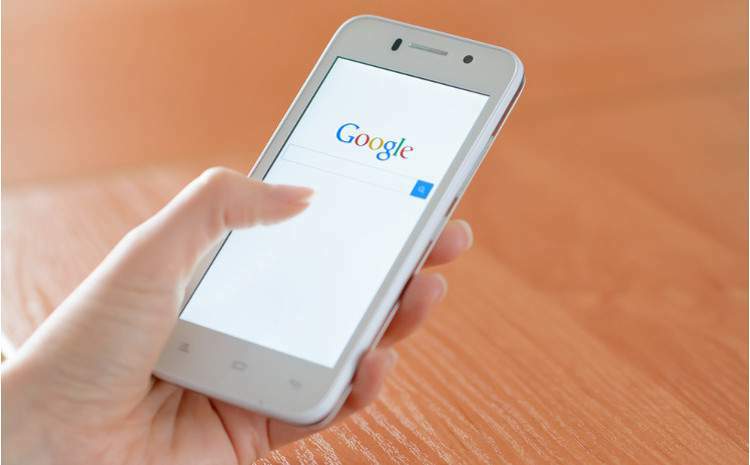 If you’ve been keeping an eye on changes to Google over the last few months, you’ll already know that Google has added the mobile penalty – this is a form of search engine penalization that occurs to any websites that do not have mobile optimized web pages. The penalty will only apply to searches made from mobile devices, but this is still a significant amount of searches and potential traffic. As a result, it’s incredibly important to create a mobile optimized website this year if you haven’t already and this is one of the biggest things that Google will be looking for in 2015. Once you have a mobile friendly website your chance of being seen in mobile search results will increase- you’ll jump up the search rankings, landing higher than any websites that do not have the same level of mobile optimization as you do. Google is making it much easier for users to search for businesses in their area. Whether they’re looking for a particular restaurant, an accounting firm, a bakery, or absolutely anything else, Google will be showing more local results than ever before. As a result, it’s incredibly important to get your local business on Google maps so that when people perform a search in the area they’ll be able to find your business. Google has named their local business searches to My Business and understanding the workings of it can be quite difficult. With My Business you can list details about your business, put yourself on Google Maps and provide information about opening times. This kind of information is all you’ll need to get more attention via local searches, and it’s certainly becoming a very powerful way to bring in new customers. 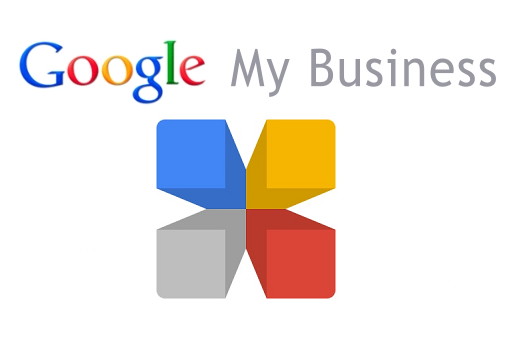 Amazingly, it can all be completely free to set up a My Business account on Google. It’s become more apparent over the last few years that creating content for your website is one of the best ways to market that website. Content marketing is becoming more popular and is in fact being seen as a first choice for marketers all over the world now that older SEO techniques are proving to be less successful. If you want to remain relevant online, it’s important that you provide regular content about your niche. Content can be press releases, blog posts or basic details about your business and your industry. The most important thing about content marketing is that it’s unique and it’s regular. The length and quality of your content can play a part in the success of content marketing as well, but creating content regularly is arguably the most important thing you can do in 2015 to keep your business climbing the Google rankings. Hopefully these pieces of information will help you to keep on top of improving of your online presence in 2015. There’s no real way of knowing exactly what will happen with search rankings after a new Google update, but the upcoming Google mobile penalty is clearly going to have some drastic effects on non-mobile optimized web pages. 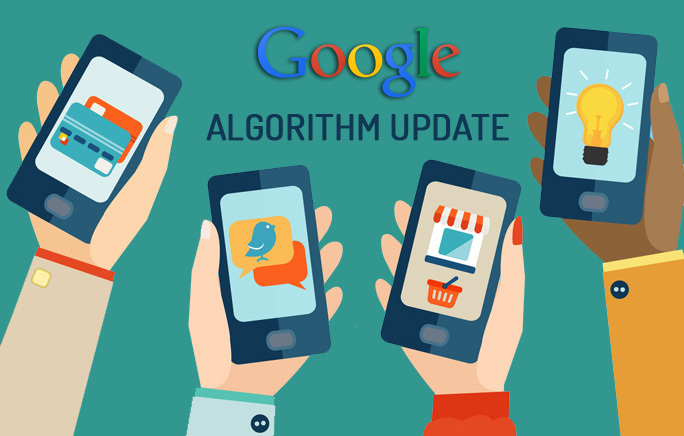 Firstly, Google is set to make changes to the way it’s search engine ranks mobile optimized and non-mobile optimized websites on April 21st. At this point the whole internet could be a messy war zone. Fortunately, those who are keeping up with the times should not be affected. 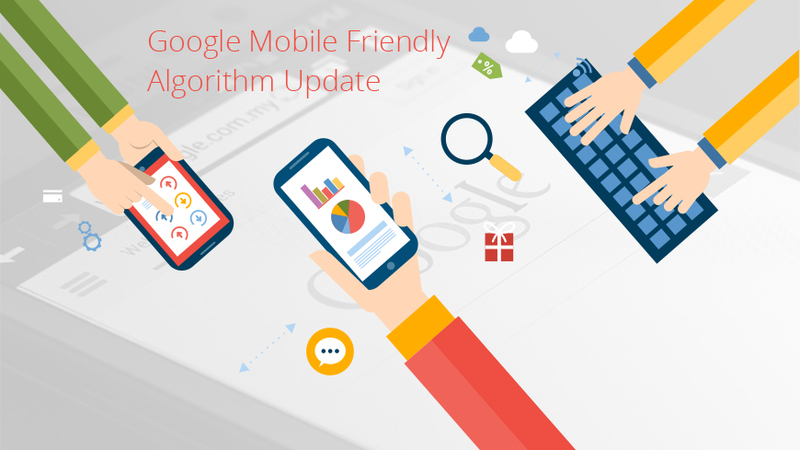 In fact, if you already have a mobile website you may even be affected positively by the upcoming Google update. Here’s what Google has to say about their upcoming changes. This basically means that having a well optimized website for mobile devices is going to increase your search rankings. It’s no longer going to be all about content in 2015 – having a well performing website that runs on a multitude of devices is key to having your site rank higher in Google search results. 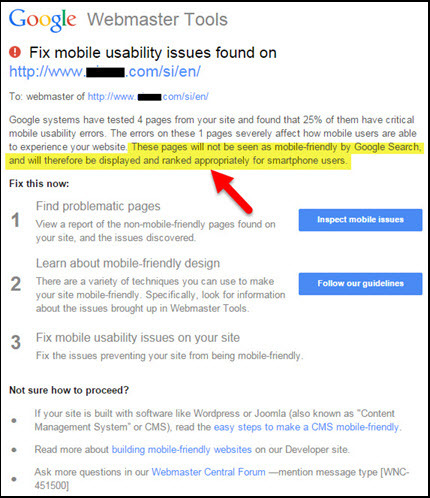 We should expect that the new Google mobile penalty will penalize those websites that still don’t support mobile devices properly. We aren’t just talking about owning a mobile version of your site. You will need to meet a certain set of criteria to ensure your website is as mobile friendly as possible and won’t be penalized as a result. Information provided by Google themselves lists details about what Google will be looking for. While Google doesn’t blatantly say what Google Spider will be crawling for, it’s clear that they are looking for websites that offer certain features. Your mobile website should include readable text without any need to zoom. Your page should be resized to fit the device, so responsive web design would work wonders here. Google has provided a guide listing some of the things you should take into consideration when designing a mobile website. They have also created a mobile-friendly test that can help you to determine whether your websites are mobile friendly or not. If you do not have a mobile friendly website or a mobile website at all, you should expect to see a drastic change in your search engine ranking. 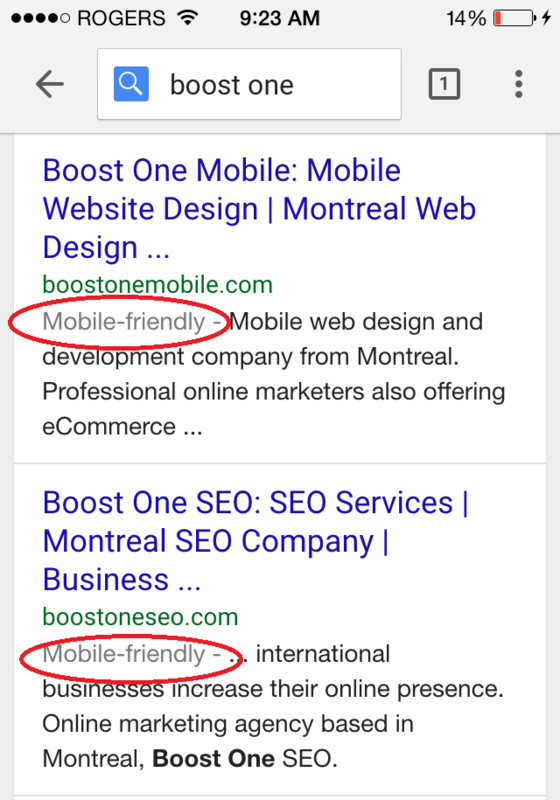 We are not sure how much of an impact it will make, but when Google suggest that not having a mobile website will have a “significant impact” you should be prepared for the absolute destruction of your hard SEO work if you don’t own a mobile friendly website. 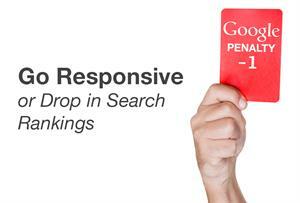 We really suggest looking at getting a mobile website done before the changes take place to avoid any penalties. We provide a mobile development service that can create you an optimized website that fits into the criteria needed to avoid the Google mobile penalty. You can learn more about our services and what Boost One Mobile is about here.